Teeth Whitening — Erase years of tooth stain for a brighter, fresher, more youthful glow. If you smoke, drink coffee, red wine, or tea, there’s a good chance you have quite a bit of stain buildup that’s collected inside of your enamel that can’t be polished off during a cleaning. Professional teeth whitening can erase more stains than over-the-counter kits and in less time. Our dentists recommend whitening your teeth prior to other cosmetic treatments so that your new restorations can be made to match the whiter shade of your enamel. 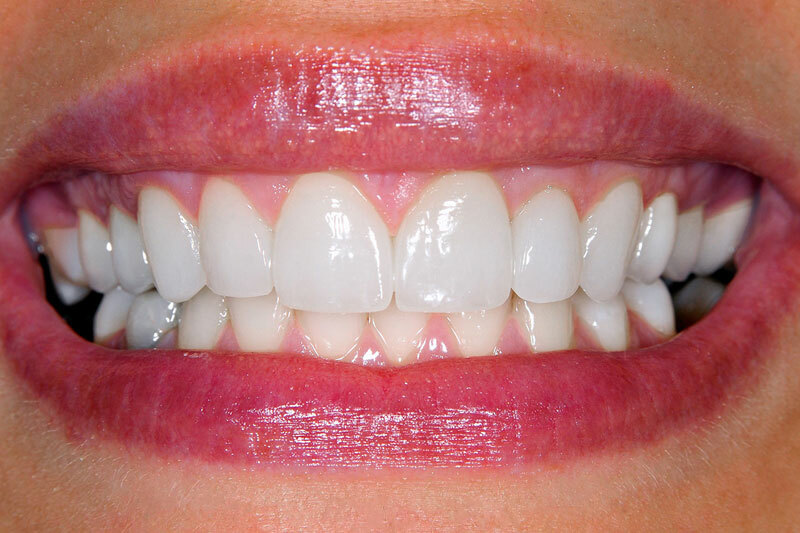 Custom Dental Veneers — Also known as “instant braces,” we use veneers to correct the appearance of teeth that look crooked, misshaped, short, uneven, or are severely discolored. The process takes about two visits to complete. Each set of veneers are handcrafted for a customized shape and design. They’re one of the most dramatic and instantaneous ways to transform how your smile looks. Dental Bonding — Have a small chip in your tooth? A mild gap in the front of your smile? Bonding is ideal when minor problems cause big flaws in your entire smile’s appearance. We can use it to recreate your tooth structure or fill in small atypical areas to give your smile a seamless appearance. There’s little to no preparation necessary and your tooth may not even need to be numbed. White Fillings — Tooth decay doesn’t mean that you need a mouth full of silver fillings to correct the problem. Our experts use minimally invasive composite restorations that blend in with your surrounding tooth structure, leaving your smile healthier and beautiful at the same time. We can even change out your old silver fillings with ones that match your teeth. At Dana Point Dental, we tailor your experience to meet your concerns, future goals, and budget. No one smile makeover is the same from one person to the next. We know what your goals are and we’ll help you to achieve them. During your consultation, we’ll talk about what it is you like or dislike about your smile, and what you want to change. Then we’ll discuss what options are available to help you address those concerns. In many cases, you have more than one choice. Depending on the type of cosmetic dentistry that you choose, you may need to book anywhere from one to two or three appointments at our office in Dana Point, CA. As we review your treatment plan, we’ll talk about which teeth or therapies are addressed at each visit, approximately how long they will take, and all of the costs involved. At the time of your treatment we’ll take every step to keep you as comfortable as possible. We are comfortable treating even the most anxious of patients…we put ourselves in your shoes and do everything we can to make your experience with us one that’s positive. Contact our cosmetic dentist in Dana Point today to schedule a consultation to get started. At the very least you owe it to yourself to find out what options are available. Call us today to learn more. Having a beautiful smile can help you make great first impressions and feel confident during your everyday life. It may even be the investment you need to get ahead in your career or re-enter the dating scene. At our dental practice, our cosmetic dental treatments fit your short and long-term needs, not to mention your budget. Whatever your goals are, we’ll help you to achieve them.